Set sail from Belfast with Fred. Olsen Cruise Lines’ 'Boudicca' this Summer! Fred. Olsen Cruise Lines is ‘bringing the world closer’ to the people of Northern Ireland and Ireland in Summer 2016, with two exciting itineraries from Belfast aboard 880-guest ship, Boudicca. 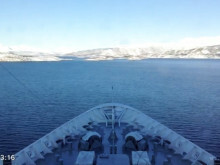 Guests can choose from a nine-night D1613 ‘Classic Norwegian Fjords’ cruise, departing on 23rd July 2016, or a 12-night D1614A ‘German Canals, Rivers & Cities’ cruise, setting sail on 1st August 2016. Experience Christmas with a difference on a ‘Festive Cruise’ with Fred.! Fred. 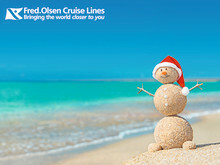 Olsen Cruise Lines has launched a new Christmas cruising mini-brochure for December 2014, entitled ‘Fred.’s Festive Cruising’, which features 13 cruises, including Winter sun escapes, Christmas market city breaks and four brand new festive sailings from Liverpool. 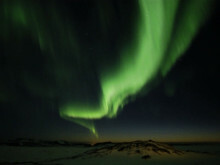 There is also the chance to see the breathtaking ‘Northern Lights’, or ‘Aurora Borealis’, on a Winter sailing to Norway. Fred. 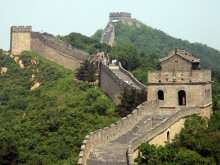 Olsen Cruise Lines has launched a promotional TV campaign on four digital channels – Drama, Alibi, Yesterday and Home – to showcase the amazing destinations and outstanding value for money that is on offer on its 119-night L1501 'Far East Explorer' cruise, sailing from Southampton on board Balmoral on 4th January 2015. 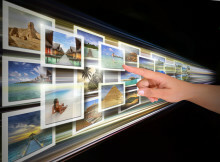 Guests will get the chance to visit a total of 51 destinations. Fred. 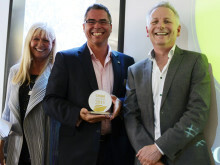 Olsen Cruise Lines was delighted to be voted ‘Best for Enrichment’, at the 2014 ‘Cruise International Awards’, held at Kensington Roof Gardens, London on 9th September 2014, having won this category previously in 2012 and 2011. Seeing the Northern Lights is a truly remarkable experience. Join Fred. Olsen as we cruise in search of the Northern Lights in 2014.